Provides that the county board of Lake County, by ordinance, or the voters of Lake County, by backdoor referendum, may vote to discontinue all offices of the township assessor in the county. Provides petition and referendum requirements. Provides that after the adoption of an ordinance, or after the approval of a backdoor referendum, to discontinue all offices of township assessor in Lake County, the office of township assessor is discontinued in each township at the end of each township assessor's term. Provides that at the end of each township assessor's term: (i) the Chief County Assessment Officer of Lake County assumes the duties of the township assessor; (ii) the county board members become the board of health for any public health district in the township; and (iii) the office of the township collector of the township ceases and the county treasurer assumes the duties of the township collector. If passed, SB0909 would authorize the Lake County Board to abolish all township assessors and consolidate their responsibilities at the county level. An opportunity to place a binding referendum on the ballot would also be authorized if the Board declines to act. 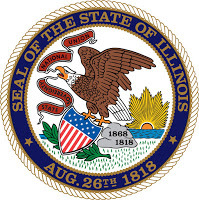 Details of SB0909 TOWNSHIP ASSESSORS-LAKE COUNTY are available on the State of Illinois General Assembly website. 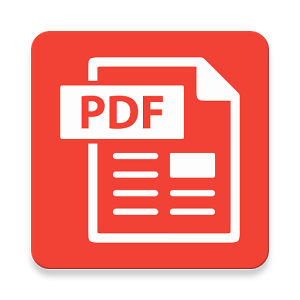 I have links to both the webpage and PDF below. SB0909 is currently in its Second Reading at the Illinois Senate. Before it can be sent to the Governor's desk, the bill must pass both in the Illinois Senate and House. Your representatives do want to know what you think. I have absolutely no allegiance to township assessors. In fact my assessor in my township is a lying crook. However, I see this possible shift as a powerplay amongst thieves. Whether the actual assessor is at the township or at the county, it really does not matter if the assessor is still not held accountable for flagrantly incorrect assessments. It seems to me that "local representation" is the best solution if/when law enforcement prosecutes anyone who flagrantly abuses that Office. How about adding teeth to the bill so that if/when the assessor flagrantly abuses the Office, they are not only immediately removed from public office but will clearly get minimum sentences, if convicted? Yes there is an assessing problem in Lake County. A big one. Take for example the Grant Twsp Assessor who - as reported by Eye on Lake County - was overassessing most Wooster Lake properties, and PTAB challenges reduced values by up to 41%, yet some Wooster Lake properties have been and still to this day pay absolutely nothing because of bogus tax shelters set up, yielding $3 assessments from the Grant Assessor. But the problem resides at the county as well as at the townships. Anyone who says otherwise is lying. Martin Paulson has already demonstrated he believes in taking a single number - a percentage - that he came up with and universally applying it to everyone else's property in an entire township. A 1-size-fits-all "fix". This does not accurately adjust many if not most of the affected properties as it entirely dismisses and supersedes any specific, more accurate study already done on those properties. Martin Paulson is a classic example of someone who wants everyone to believe 2 wrongs make a right and is demonstrating he cannot be trusted. Incidentally, a 7% percentage increase to $3-assessments is still a $3 assessment. There's Paulson's "fix"! How could the proponents of this bill possibly believe that transfering all control to one person - especially Martin Paulson - will fix the assessing problem? It won't fix anything, not for the tax payers. It will however transfer power, and that is what this really appears to be about: A POWER GRAB. If the Assessor function moves to the County, I am sure that most Assessors would not move to the county since most are incompetent and would not be hired (they lose their "elected" status). The county I am sure would only take the best of the best to include the employees who do a good job. County Board member could then be held accountable for ensuring we have a good process. Let's strike while the iron is hot. Those elected earlier this month don't start their term until 1/1/18. If we wait until 2018, I am sure their will be litigation saying those elected are being denied an ability to serve. It has not passed the Senate yet.